C Architecture specialises in residential architecture; new homes, alterations and additions, kitchen, bathroom, cabinetry and fittings design. C Architecture can provide the complete package from concept design through to on site observation and administration of the construction process. Influenced and inspired by the place we call home, the west coast beach of Piha, in Auckland, C Architecture endeavours to create an architecture that celebrates the spirit of a client and of a site. Critical to delivering this goal is communication; an understanding of a client, their brief, their desires, their aesthetic and their budget through listening, learning, talking. As imperative, is an acute understanding of the cultural, geographical, climatic and environmental conditions of a site. Sustainability, affordability and adaptability are also essential ingredients that inform C Architecture’s design solutions as are the elements of light, space, form, material and composition. Carolyn graduated with a Bachelor of Architecture from UNITEC in 2000 and gained her Registration as an Architect in 2003. Carolyn was employed as a Graduate Architect and then Project Architect for Crosson Clarke Carnachan Architects for 7 years until she left to have children in 2007. 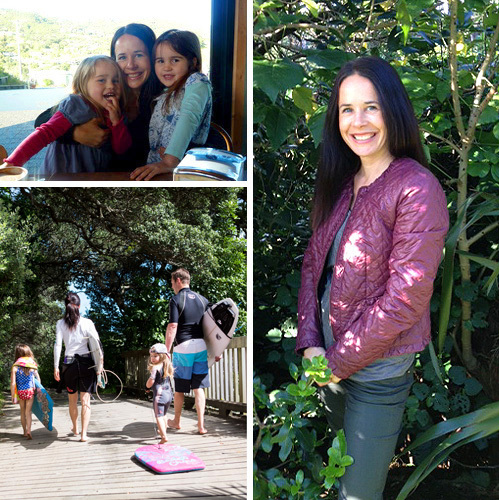 Since then Carolyn has completed various residential projects including a new home in St Heliers, Auckland, her own home at Piha, Auckland, and a substantial alteration/addition in Whitford.